That could be the case warns Turkey’s EU Affairs minister if Europe fails to honour an agreement for visa-free travel for Turks to the EU. He added EU demands Turkey change its terrorism laws would endanger European security. “If the EU won’t provide a precise date to grant us visa-free travel, we will not implement the readmission agreement and we will not make further progress on this matter. They are asking if we are threatening the European Union. 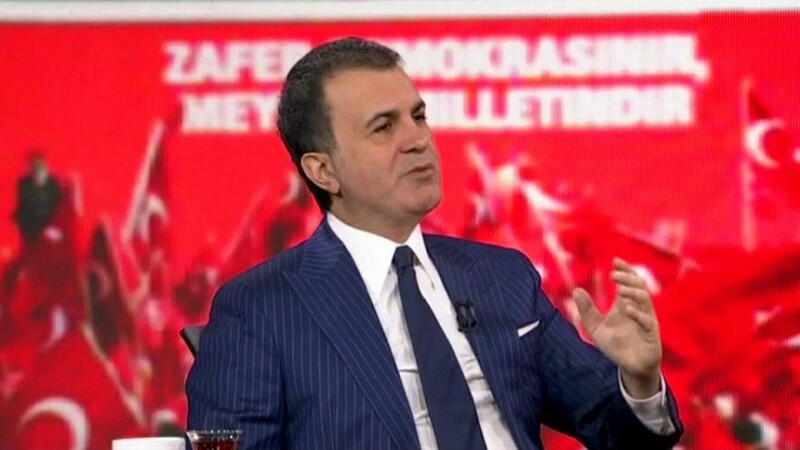 We don’t threaten anyone, we don’t blackmail anyone,” said Omer Celik. The Justice Minister also said anti-American feeling was on the rise and would only deepen if Washington refused to extradite Fethullah Gulen, a Muslim cleric Ankara blames for last month’s failed coup. Washington says it wants hard evidence of his guilt. “That man who ordered the bombing of Turkey and the parliament, who pointed Turkey’s weapons at the Turkish people will get the punishment he deserves,” said Prime Minister Binali Yildirim. Gulen denies any role and accuses President Erdogan of using the coup to amass greater power.